Looking at the sentiment behind the title I’ve chosen for this blog post, I only wish I had realised it many years ago and used it to give me more self-confidence that anything is possible. When I was a child, my family became homeless and lived in a caravan for nine years. My parents had bought a tiny piece of land, so they created a smallholding. It took those nine years to work their way through the planning system and save sufficient money before we could build a home on it. That’s what sparked my interest in land holding and planning regulations. With my rural background my interests were and still include land, farming and antiques. I thought I’d become a land agent, but here I am, a senior civil servant working in the Government Property Agency (GPA), developing strategy and having led one of the government’s major transformation programmes. After a year studying for a higher national diploma (HND) in estate management at Nottingham Trent University, I was invited to stay on and complete a degree course - but I couldn’t afford to do that. I needed to work. At that time employers just wanted to know if I could type, but I knew I was capable of more so I went to work in the property division of a FTSE 100 retail group. I loved it. There were thousands of properties all over the country, covering retail, banking, mail order and other parts of the company’s portfolio. They offered good training and career opportunities and agreed to fund my degree in Urban Estate Surveying. With the degree under my belt I wanted to get a Royal Institution of Chartered Surveyors (RICS) qualification, so I moved to a major high street pharmacy chain to build my career in estate management. I had started out with an interest in all things rural and land management but ended up working on urban land and property. I’d been lobbying against out-of-town shopping centres, which raised my profile in the public sector. Through my mentors and networks I was offered a secondment in government to work on planning policy and provide a regional perspective on policy-making that was mainly done in London. The secondment gave me a taste for something different, so I left the pharmacy chain and in 2000 joined the then Government’s small business service. Nearly 18 years later I’m still in government as strategy & asset management director for GPA. I really love working in government and feeling that I’m part of a team that’s making a real difference. I’ve had opportunities to change the way we work, the freedom to be creative and my ideas are listened to. I’m very proud of the government hubs programme that I’ve led to this point: not only will it save taxpayers' money, it will have a lasting legacy. It’s also great to be part of an organisation where I have flexibility over when and where I work. When I needed to reduce my hours, because of caring responsibilities for my mother and brother, I was able to go part-time, and then back to full-time working when I was ready. I think that getting on and doing a really good job to the best of your ability whatever your background is the most important thing. Throughout my career I have shown that I’m committed to my job as well as my own development and progression. I had the help of some great mentors and champions. The support that I received from mentors, champions and coaches has made me a strong advocate for helping others, and now I enjoy passing on that support and encouragement by being a mentor and coach myself, in addition to acting as Sponsor for the SW & Wales Social Mobility Network. I don’t think I’ve ever been treated that differently because I am a woman - apart from being expected to do the typing in the early days - and I’ve never considered myself to be different or less able. There were very few women when I started out. Often, I’d be the only female in the room at meetings: my colleagues referred to me as the ‘honorary man’. But it’s getting much better in the property world at all levels and the advice I would offer to those wanting to progress in a male-dominated industry is: be the best that you can be and you will be recognised for that. I aim to continue to be a champion for equality, diversity and social mobility. 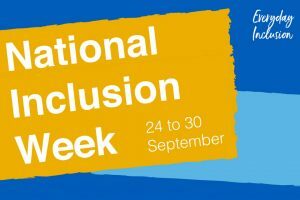 National Inclusion Week runs from 24 to 30 September. It is an opportunity to raise awareness of inclusion in the workplace. This year the theme of the week is ‘Everyday Inclusion’. We will be publishing a series of blogs during the week to reflect the progress towards making the Civil Service the UK's most inclusive employer by 2020. I found a home in the civil service 31 years ago and have worked my way through and up so many interesting roles - my personal motto is ‘always contribute more than you cost’..... it’s amazing what you can achieve with the right mindset! Thank you for sharing your personal and professional journey with us. You make this place a richer one and I for one am so pleased and proud of you and your achievements. You were a welcoming face when I joined the Cabinet Office and a source of support. Continue to champion "equality, diversity and social mobility"! Thank you Ann for sharing your story. I too hope that this inspire others to realise their potential and that challenges that they face along the way can be overcome. Please do continue to be a Champion of Diversity and Inclusion. Your efforts are making such a significant difference and making it a great place to work for ALL. Thank you for your comments. It’s great to receive feedback. 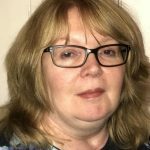 A great blog Ann and thank you so much for sharing how you arrived where you are now. I also remember at school that the only options were working in a shop or in an office as a shorthand/typist as I wasn't 'clever' enough, or had enough money to go to university. I took no notice and joined the RAF where I worked hard and volunteered to be one of the first lady loadmasters on the Hercules aircraft. I now work for the Foreign Office and am overseas advising and guiding the Office in estate and maintenance matters. I now have a masters degree in management and leadership and one in management of occupational health and safety. I got where I am because I had an excellent champion whilst in the RAF who believed I had what it takes. Thank you so much for your comments. I am sure your FCO role is fascinating. Champions are so important. Shernett - thank you. You are a fantastic colleague to work with. The support is mutual. Sandra - You too are an inspiration. I miss working with you.